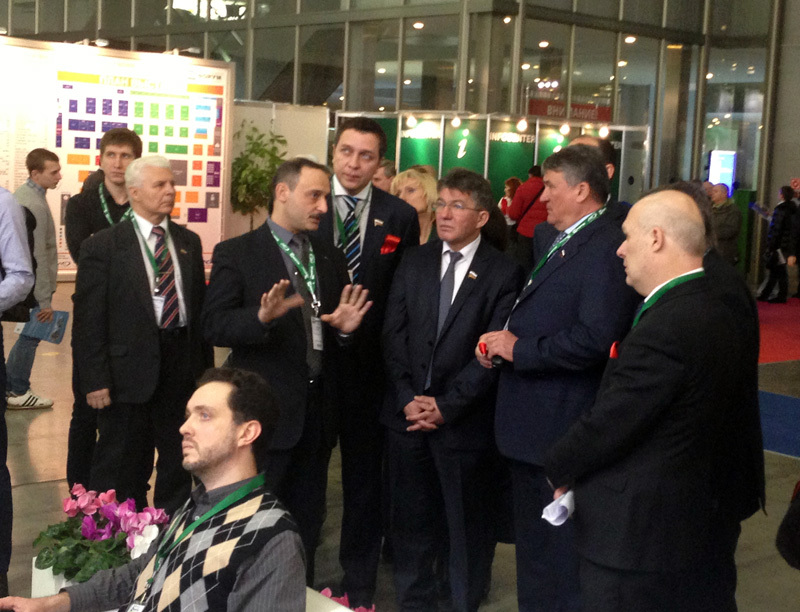 The Security and Safety Technologies (SST) Forum was held from 12 to 15 February in Moscow, Russia, at the Crocus Expo exhibition complex. Leading innovators and major government and private-sector customers attended the event, the prime Russian technology gathering for the security industry. AxxonSoft presented a new version of its innovative open platform video management software (VMS), Axxon Next, which allows creating infinitely scalable video surveillance systems of any complexity. A special video wall demonstrated the software at the AxxonSoft stand. Visitors could settle down with a cup of coffee in the lounge area and take a close-up look at the updated Axxon Next and its unique features. Fisheye panoramic cameras are now supported in immersion mode: above the 3D map, layouts can feature several virtual ePTZ cameras, which display images that have been dewarped from the panoramic camera image. The layouts can be of any size and configuration, at the convenience of the user. Autotracking in Axxon Next performs automatic digital zoom and "handling" of moving objects. This feature is particularly exciting when used together with virtual panoramic cameras. The video wall also demonstrated new forensic search tools based on the patented TimeCompressor technology, which marks a sea change in how users work with video analytics. Another important feature: users can now view archives and live video feeds through their web browser or iPhone. Beside the impressive new features and cozy atmosphere, guests at the AxxonSoft enjoyed another pleasant surprise: chocolates with the company's logo and a QR code to download a free version of Axxon Next video management software. Interest in AxxonSoft products was expressed by the management of the CIS Anti-Terrorism Center and officials from national security agencies. The visitors were impressed with the remarkable feature set of Axxon Next, which was the subject of in-depth remarks by Yakov Volkind, Commercial Director of AxxonSoft. Even more thrilling for visitors to the SST Forum than observing Axxon Next demos was the chance to try it out in action for themselves, thanks to computers and video equipment installed in the demo area.